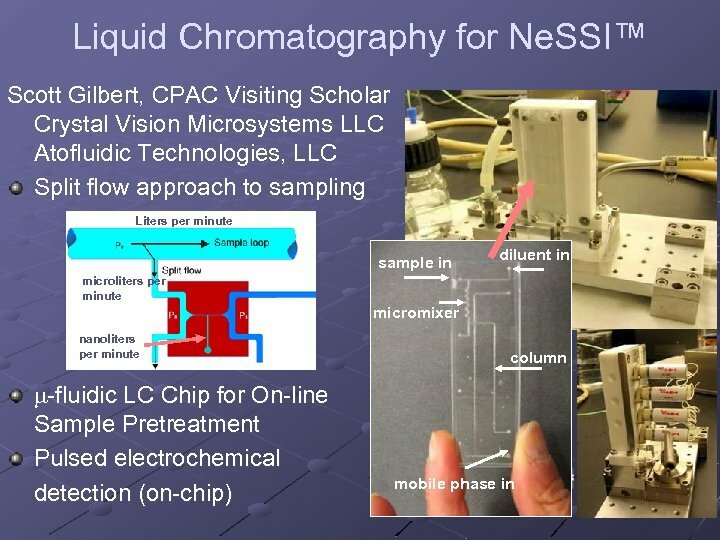 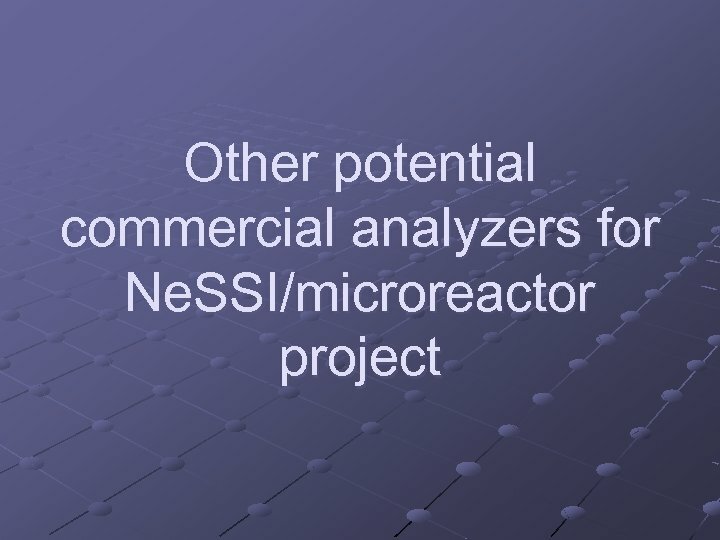 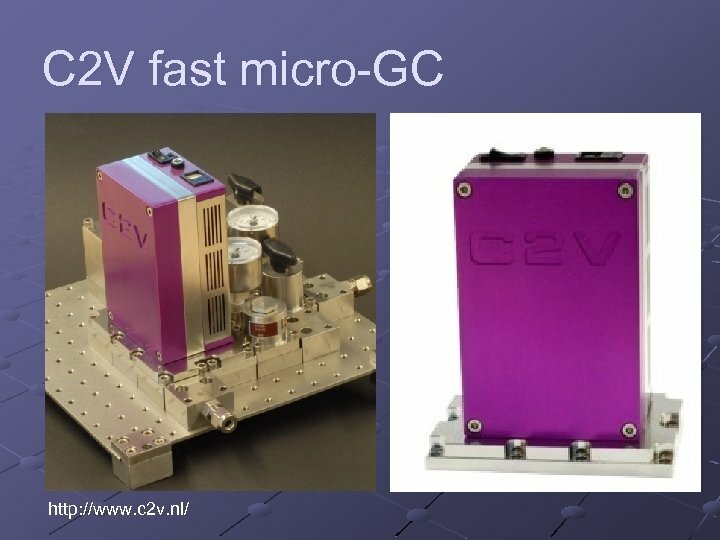 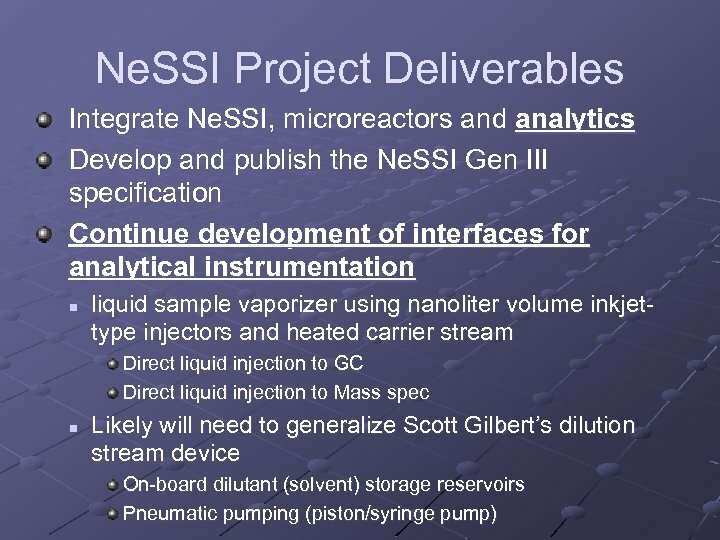 Project Goals and Objectives Establish research platforms integrating microreactors, Ne. 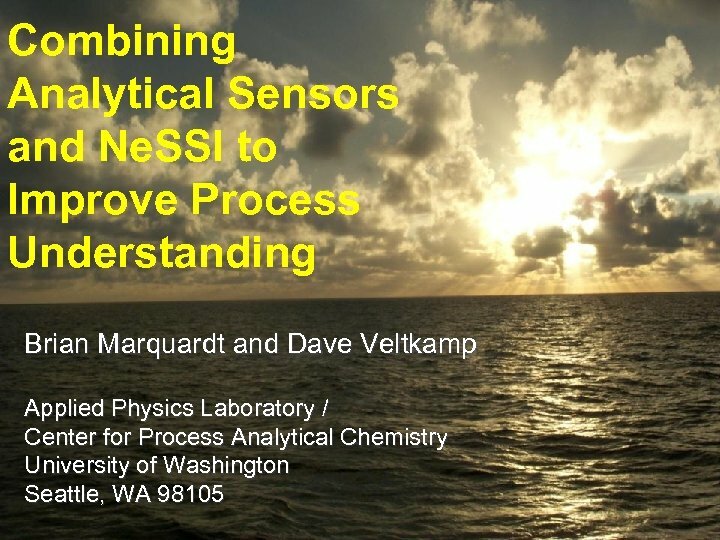 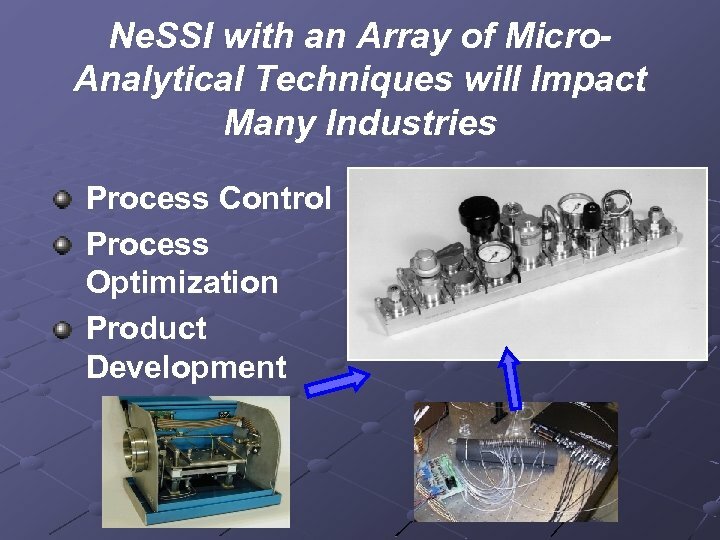 SSI, and analytical monitoring for the multidisciplinary investigation of bio-processing and bio-fuels related processes. 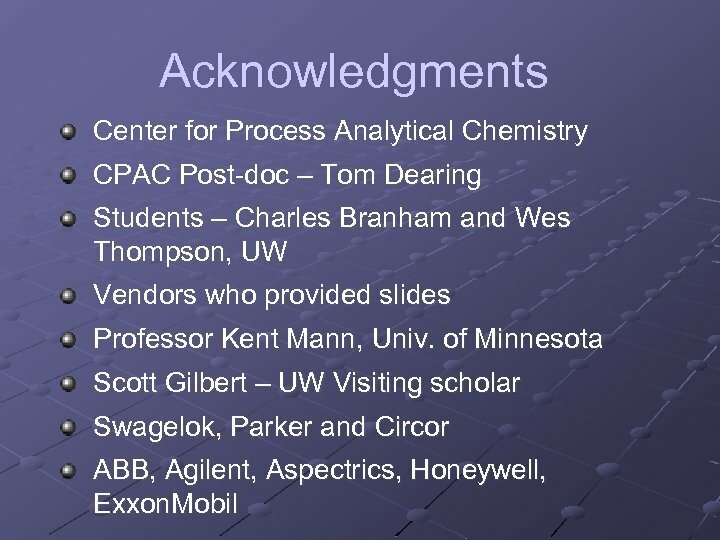 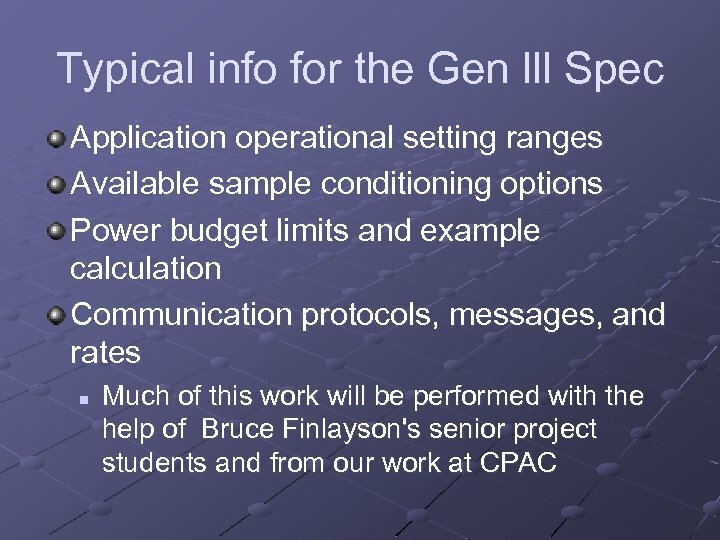 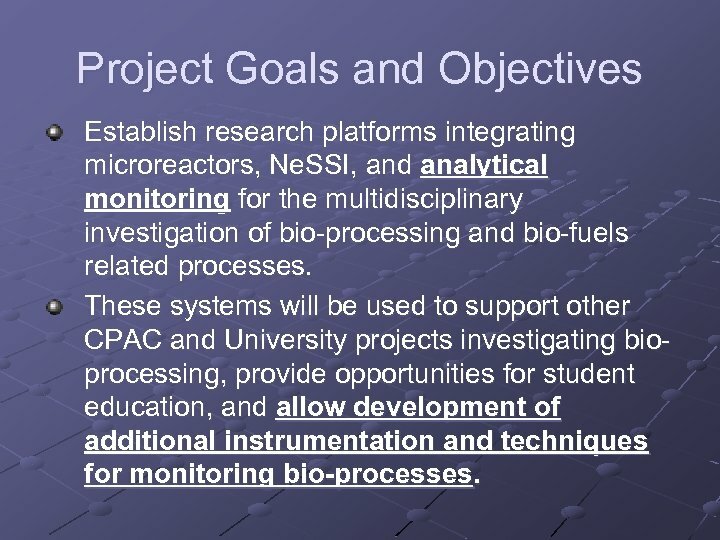 These systems will be used to support other CPAC and University projects investigating bioprocessing, provide opportunities for student education, and allow development of additional instrumentation and techniques for monitoring bio-processes. 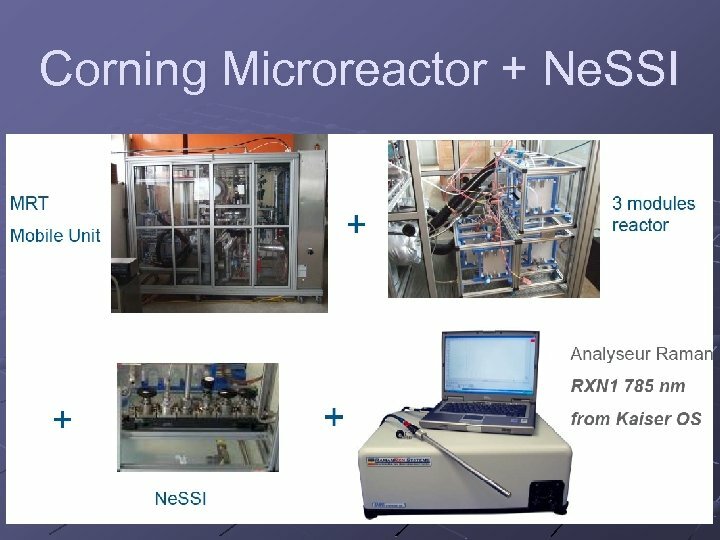 Project Research Plan Task 1: integrate the microreactors with the Ne. 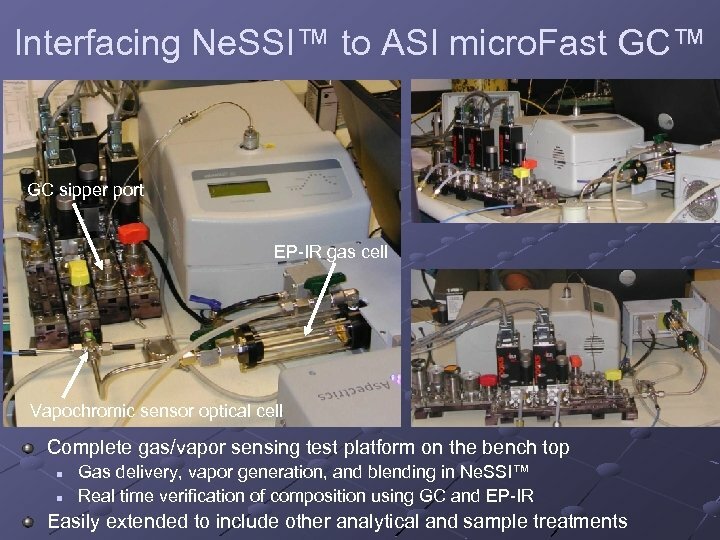 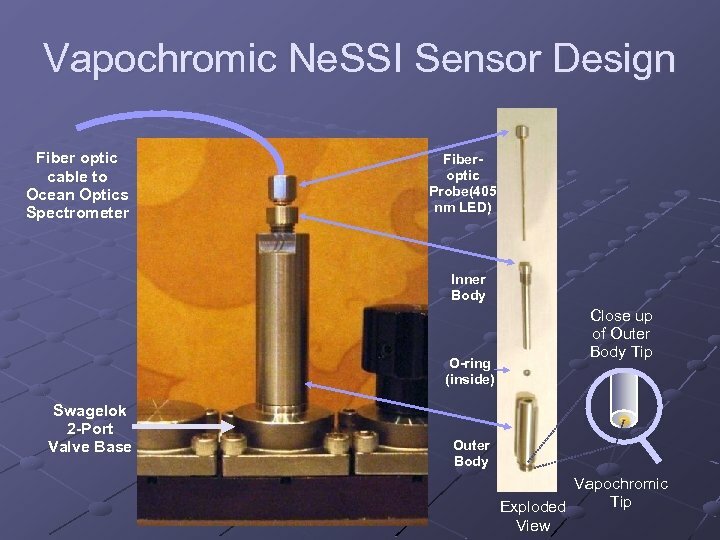 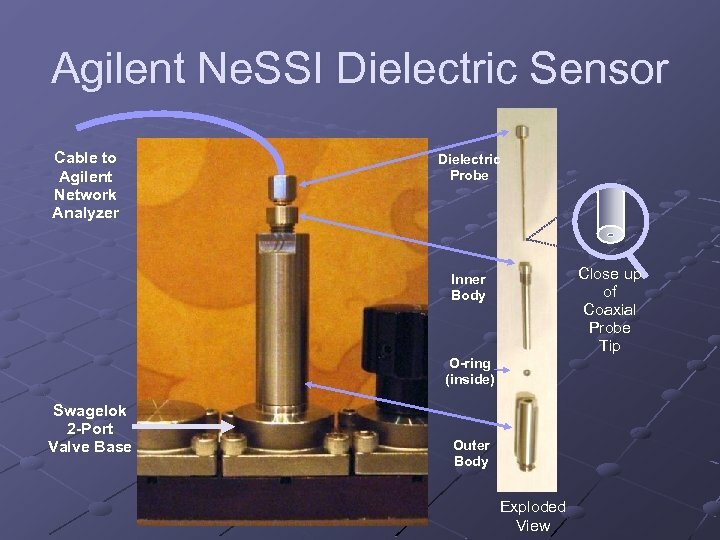 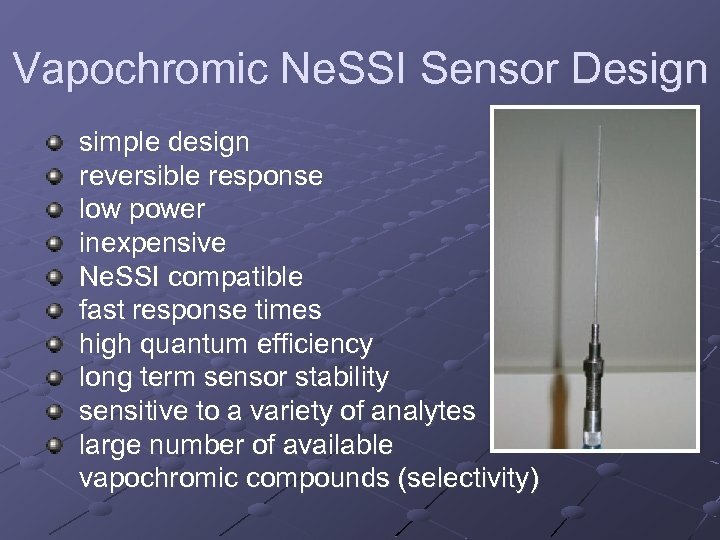 SSI™ fluidics system and the analytical monitoring instruments. 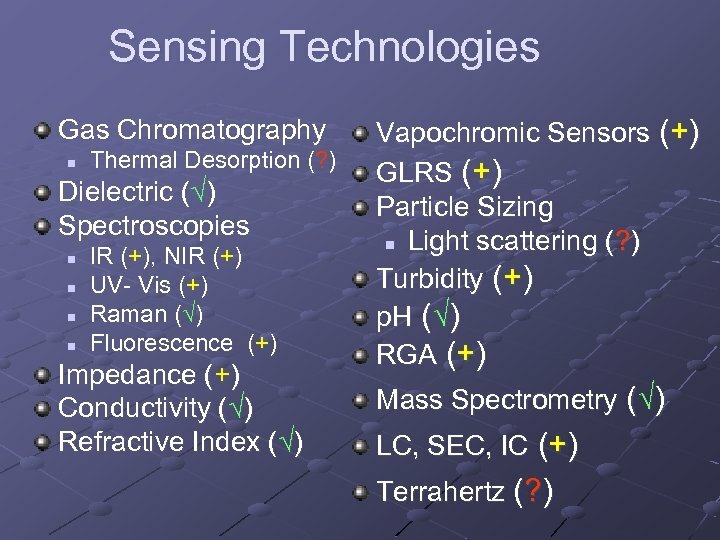 Task 2: characterize the systems so their properties (i. e. , flow, mixing, heat transfer, residence time, etc. ) 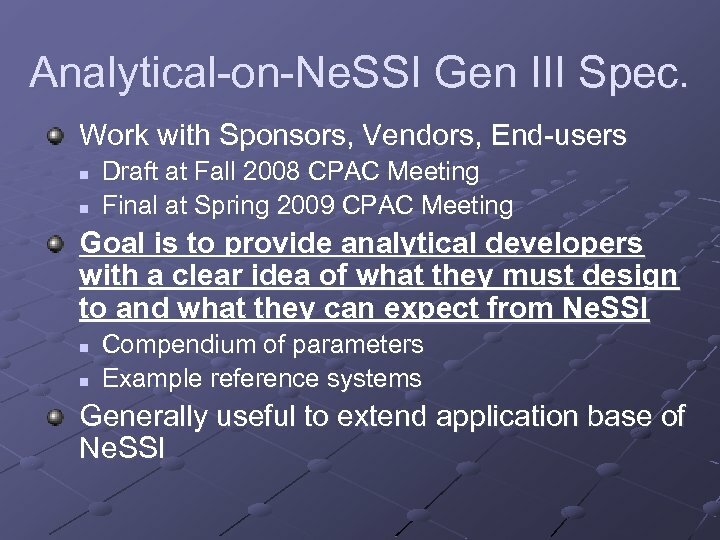 are well understood. 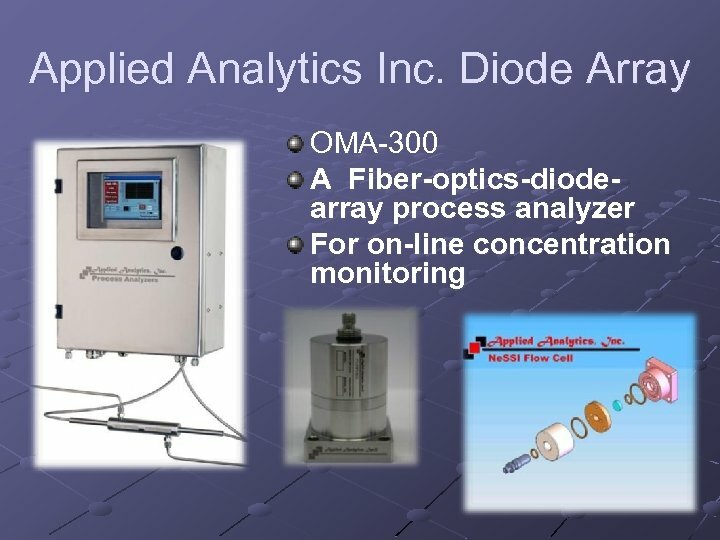 Task 3: development of the on-line analytical to monitor the key operational parameters and reaction progress. 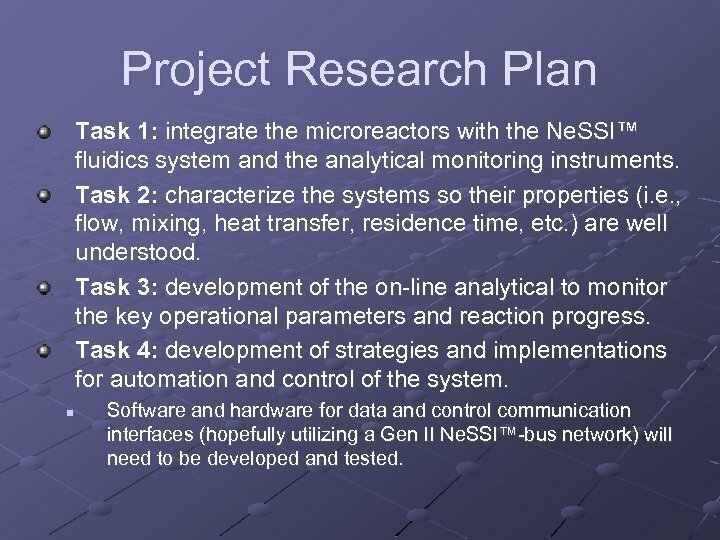 Task 4: development of strategies and implementations for automation and control of the system. 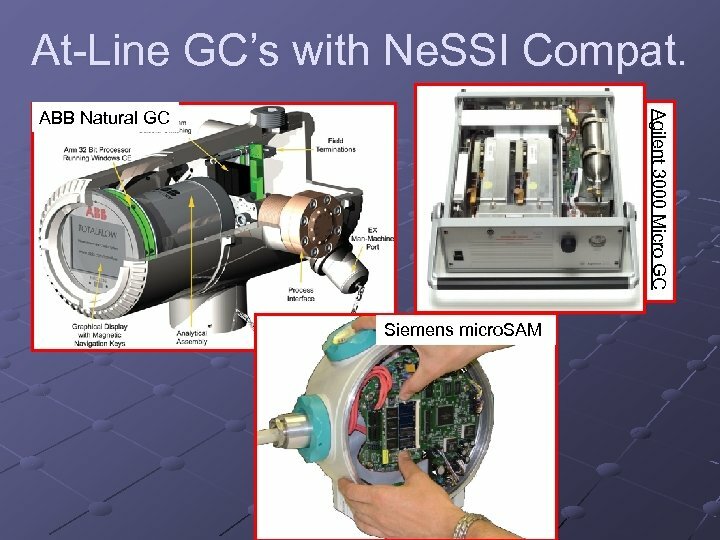 n Software and hardware for data and control communication interfaces (hopefully utilizing a Gen II Ne. 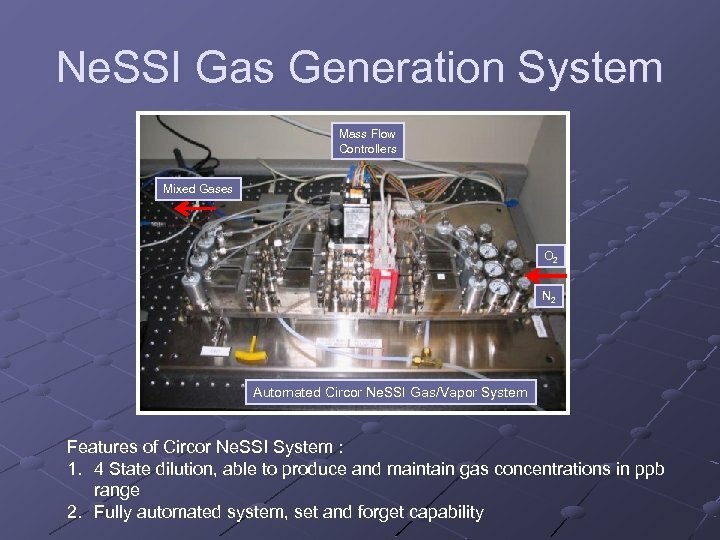 SSI™-bus network) will need to be developed and tested. 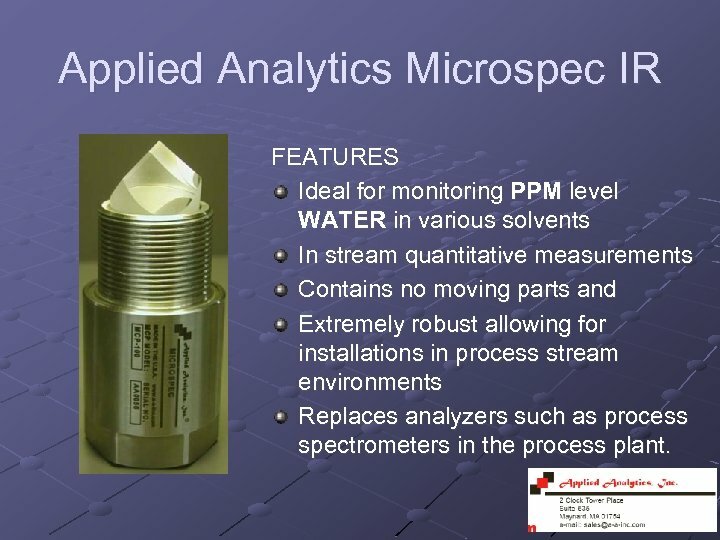 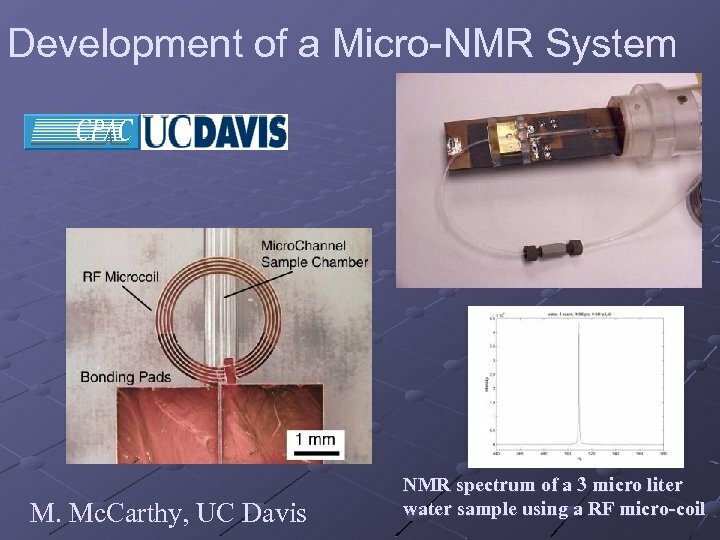 Applied Analytics Microspec IR FEATURES Ideal for monitoring PPM level WATER in various solvents In stream quantitative measurements Contains no moving parts and Extremely robust allowing for installations in process stream environments Replaces analyzers such as process spectrometers in the process plant. 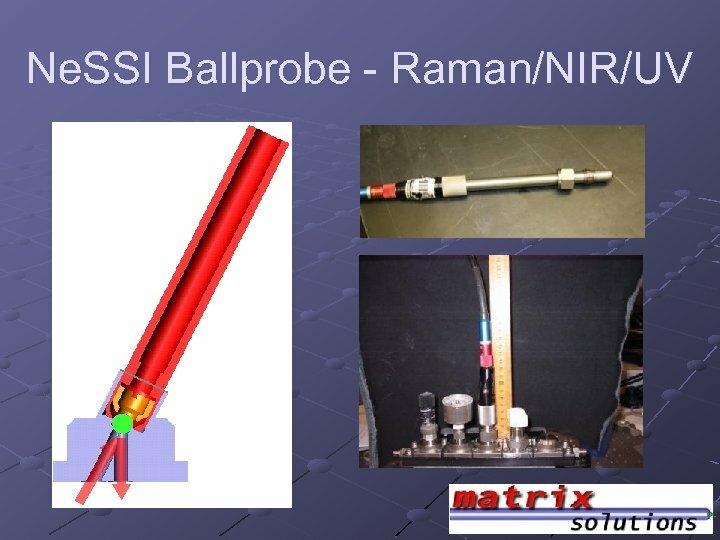 Ne. 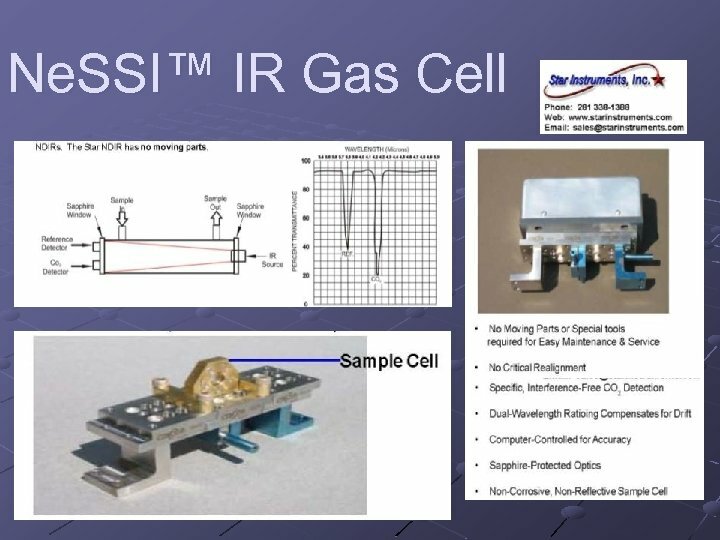 SSI Compatible Spectroscopic Cell Axiom Analytical, Inc. 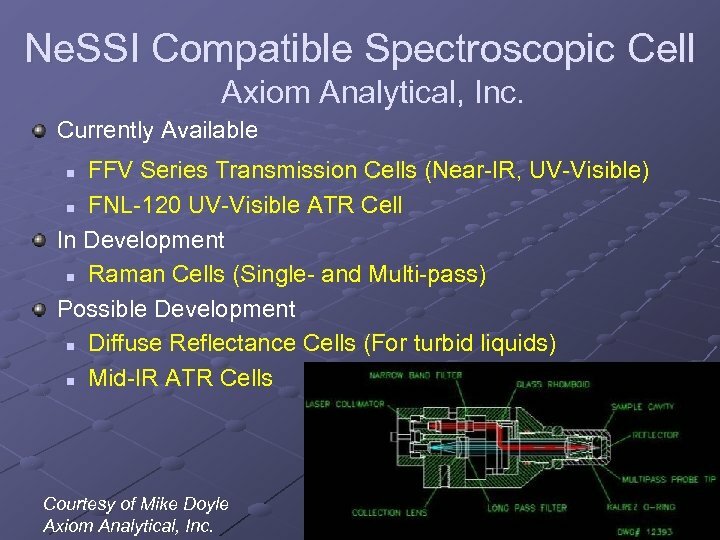 Currently Available FFV Series Transmission Cells (Near-IR, UV-Visible) n FNL-120 UV-Visible ATR Cell In Development n Raman Cells (Single- and Multi-pass) Possible Development n Diffuse Reflectance Cells (For turbid liquids) n Mid-IR ATR Cells n Courtesy of Mike Doyle Axiom Analytical, Inc.